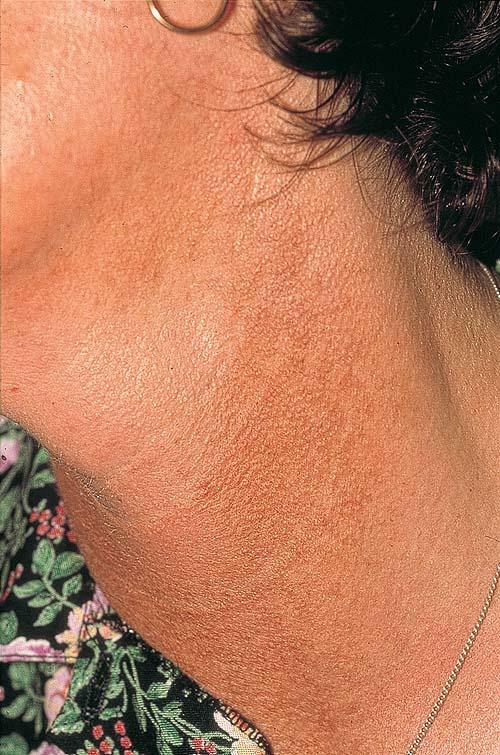 Poikiloderma of Civatte refers to erythema associated with a mottled pigmentation and dilation of the fine blood vessels (telangiectasia) usually seen on sun exposed areas like cheeks and sides of the neck. • Chronic sun exposure to ultravoilet lights is thought to be main contributing factor as it most commonly occurs on sun exposed areas. • Photosensitizing agents in perfumes and cosmetics. • Hormonal changes associated with low estrogen level or menopause have been suspected as it usually occurs in mid-age or old age groups women. • Some research have also suggested genetic inheritance. Some types of laser therapy like IPL may improve the appearance of this condition. But if you want to use at-home skincare products then I would make sure you're using a sunscreen and antioxidant daily to help prevent this condition from occurring or worsening. With regards to treatment then using pigment lightening products may help with the discolouration (kojic acid, azelaic acid, licorice, sabi white, mulberry & skin brightening peptides). Also long term use of Exfoliating products like AHAs and Retinols may help fade the discolouration. Avoid all other cosmetics and perfumes on affected areas. Visit the Dermnet NZ website for more information on Poikiloderma of Civatte.